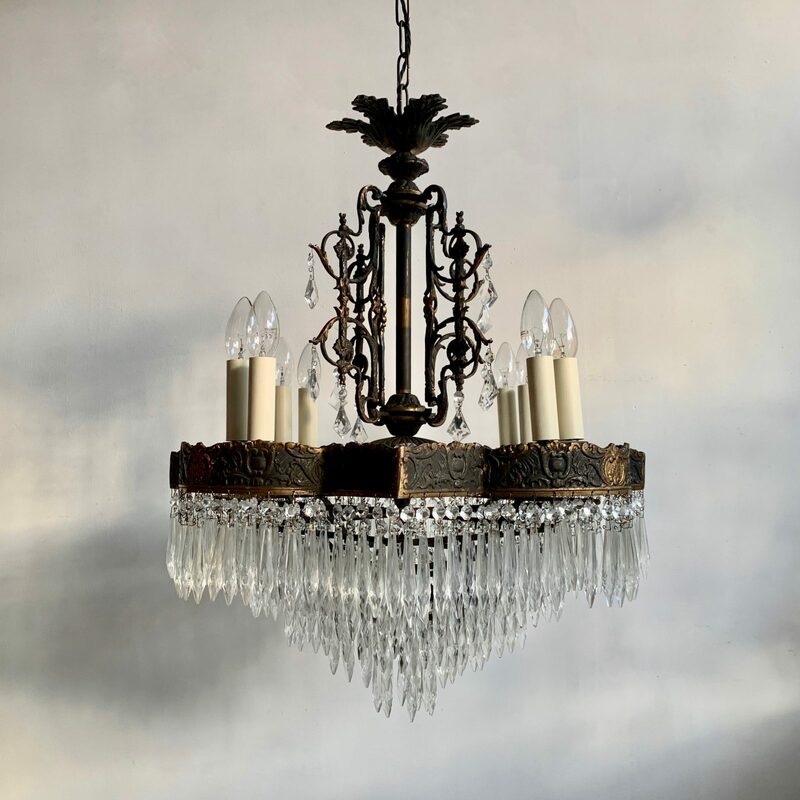 Large French Square French Tiered Waterfall Chandelier With Glass Icicle Drops. An unusual cast brass decorative frame with decorative patterned scrolls, the edging of the frame has a polished border and highlighted details. The centre stem is decorated with outer scrolling brass swirls holding glass pendants. The centre stem leads to more decorative elements and an upper rose crown. The tiers are adorned in glass icicles and buttons giving a compact, fullness of glass. The wiring has both inner lamps and outer lamps. The inner B15 ones will light up the glass droppers. The chandelier is supplied with heavy antiqued brass chain, ceiling rose and braided flex.